If you encounter an issue configuring MIDAS to authenticate against your Active Directory, a good place to start is the "Test" button on the MIDAS Admin Options → Manage Users & Permissions → Single-Sign On (SSO). This button will test whether MIDAS is able to connect to and query the Active Directory using the settings you've specified. If this test fails, these settings are the first thing to check. You can also enable debug logging by selecting the "Debug" option and clicking "Save Changes". With debugging enabled, failed and successful LDAP authentications will be logged to a "/debug-ldap.dat" file in your MIDAS directory. Integration Test fails with "An error occurred binding to the LDAP server:  An error occurred in C<Net::LDAP>" A bug exists in some recent versions of ActivePerl (and also Strawberry Perl) which may prevent the Net::LDAP module from functioning correctly. The workaround (other than installing an earlier version of Perl) is to rename the "INET6.pm" module within your current Perl distribution to something else. INET6.pm provides IPv6 support for Perl, and can commonly be found at C:\Perl64\site\lib\IO\Socket\INET6.pm (depending upon the location of Perl on you system). For more information on this workaround, please see this post. Integration Test fails with "Unable to determine the currently logged in user" This indicates that your server has not been correctly configured to support Active Directory authentication at the location from which you're running the ADtest tool Please make sure you've followed the steps for configuring your server carefully. 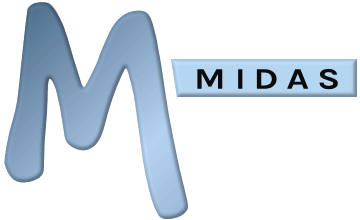 If there is no email address in your Active Directory for your username, the user will see the standard MIDAS login screen. If you've enabled debug logging, this cause will be indicated in the debug log. An email address should be entered in your Active Directory for each user who will be accessing MIDAS. If there is no User Group in MIDAS with a name matching the name of the user's Primary Group setting in your Active Directory, and the "If no matching User Group exists, block access" option in MIDAS is selected, the user will see the standard MIDAS login screen. If you've enabled debug logging, this cause will be indicated in the debug log. Ensure that a User Group has been created in MIDAS (MIDAS Admin Options → Manage Users & Permissions → Groups) with the same name as the user's Primary Group from your Active Directory. Untick the "If no matching User Group exists, block access" option (MIDAS Admin Options → Manage Users & Permissions → Single-Sign On (SSO)). The user will then be able to access MIDAS using a very limited set of "view only" permissions. If a user's MIDAS user account has been "suspended" in MIDAS, they will be returned to the login screen rather than seamlessly logged in. If you've enabled debug logging, this cause will be indicated in the debug log. Go to MIDAS Admin Options → Manage Users & Permissions → Users and check that the user account in question hasn't been suspended. Unable to change user's primary group - the "Set Primary Group" button is disabled If the "Set Primary Group" button within your Windows Active Directory, "User Properties → Member Of" dialog is disabled (greyed out), this can occur if you're trying to set a Local/built-in group as primary (such as Users, Backup Operators, etc) Select another Global (non-built-in) user group, and the "Set Primary Group" button should become enabled. If you have not defined any other user groups, create a new global security group and you should then be able to set it as the Primary Group for individual users. Alternatively, see our "I can't change user's Primary Groups in my Active Directory, yet I need to assign different users different permissions!" FAQ entry for a workaround.